Just one momentary lapse in attention is enough for a crash to be unavoidable. Results are usually deep abrasions and cuts as well as burns from the melted synthetic fabrics. Thousands of cycling accidents occur every year. If an athletic bike racer is involved, the injuries tend to be much worse. Developed for those moments of shock. And for eternity. Black Diamond hits 9.3 on Mohs Scale of Hardness. That is nearly as hard as diamonds and almost as indestructible. That guarantees optimal protection from abrasions and great product durability. Black Diamond is not just one step ahead of today’s safety standards, it redefines them. Black Diamond was developed especially for application on textiles. One of its base materials is boron carbide. Among other areas, this is used in the production of tanks. This extreme level of hardness gave our engineers an unprecedented challenge. Only the combination of titanium and other highly functional materials, and the development of a specialised manufacturing process allowed us to apply Black Diamond selectively on the base material. Protective apparel has long been known as just plain uncomfortable. Until now, one could only glue large swaths of inelastic, abrasion-resistant materials on textiles and then affix them with stitching. Boron carbide is for example used in the production of sandblaster jets. The material has a melting point of 2350°C. 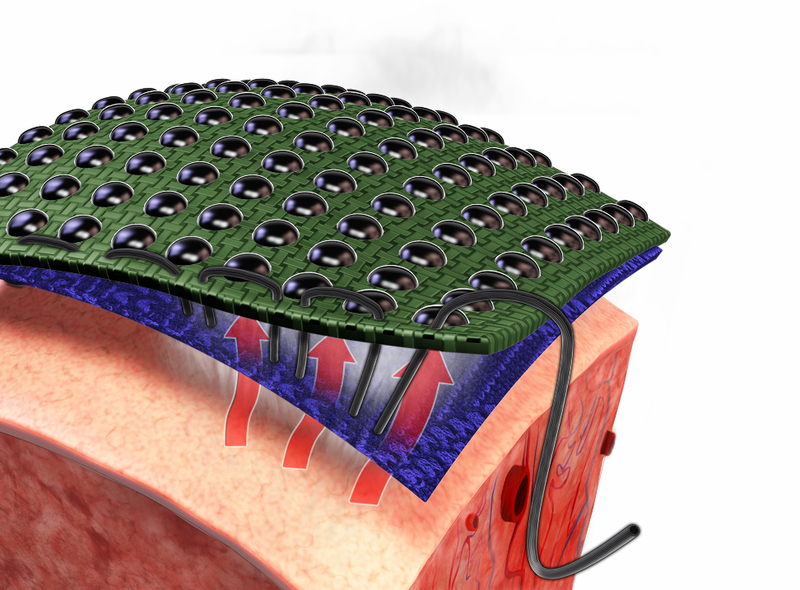 With its punctiform application, stretch in between each point is maintained. 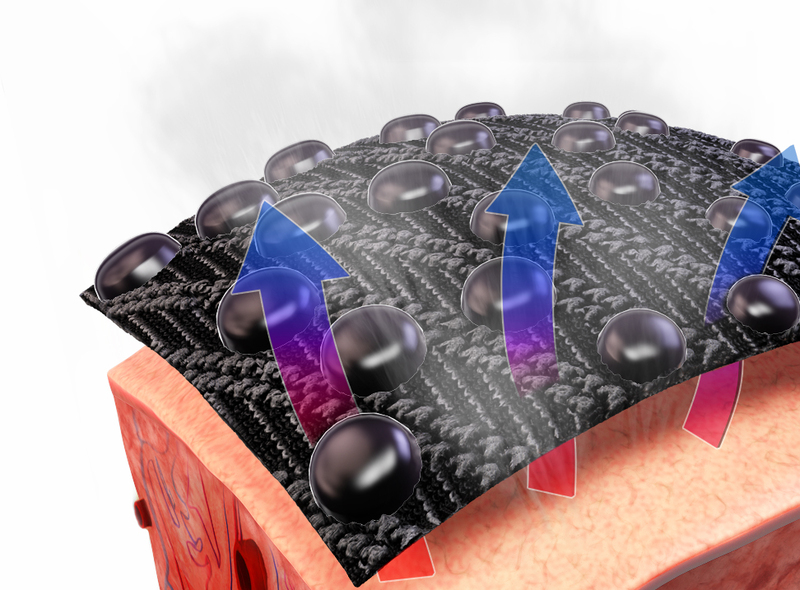 Spaces in between allow optimal function of patented X-BIONIC®temperatureregulating technology. Compression isn't inhibited by inelastic materials. Joints and exposed areas can be optimally protected without limiting freedom of movement. Over millions of years, the armadillo has developed a perfectly combined system of extreme armor and unlimited freedom of movement. Between each individual plate of bone are skinfolds that enable freedom of movement. The unique Black Diamond material was developed using the precise principle of the Armadillo: Protective material is selectively positioned only on exposed and vulnerable zones. 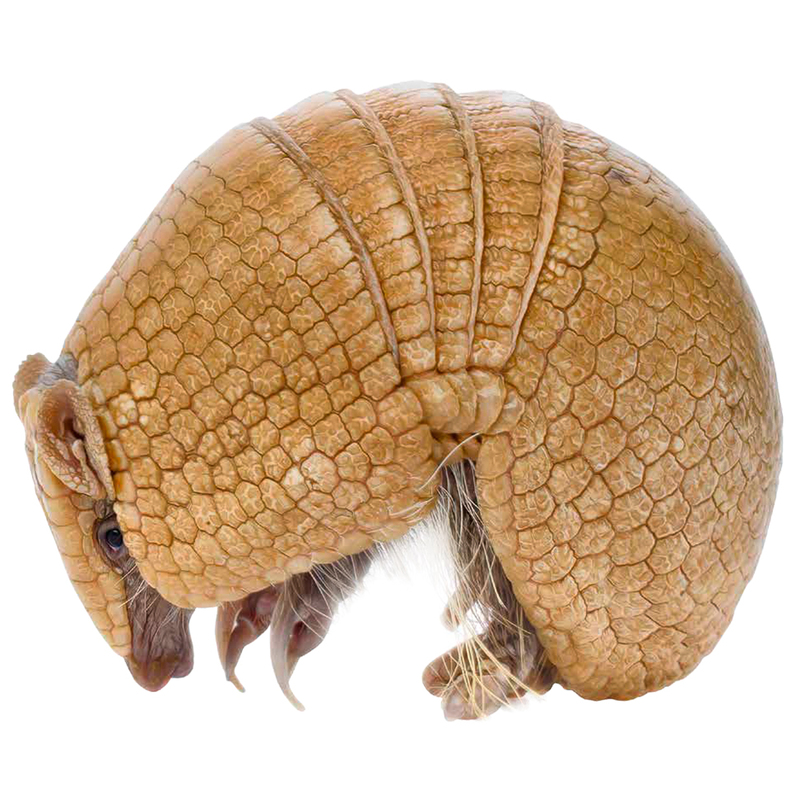 In between are spaces that function exactly like the skin of an armadillo. The three-dimensional Black Diamond coating is located precisely where the greatest risk of injury from abrasions is, based on recent research. 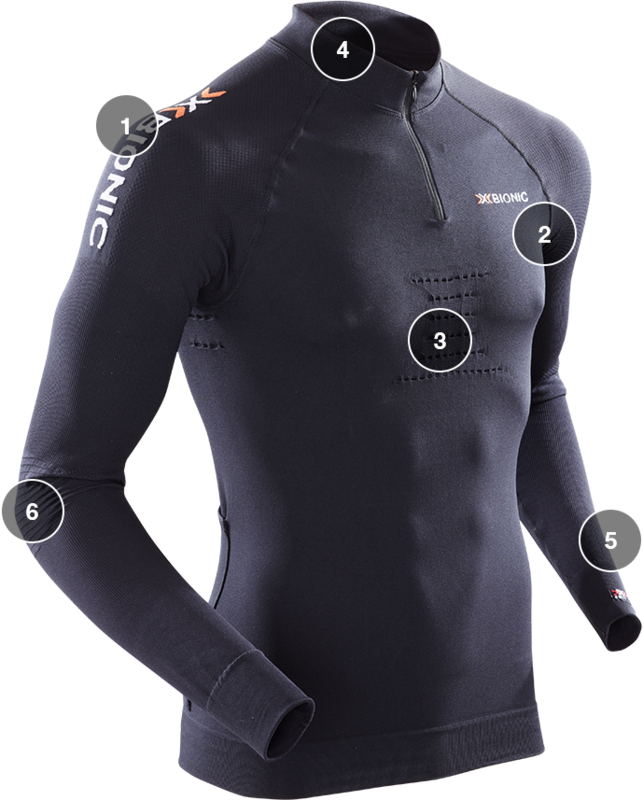 Besides the highest protection, this product also of course offers the outstanding, performance-enhancing X-BIONIC® sweat management. 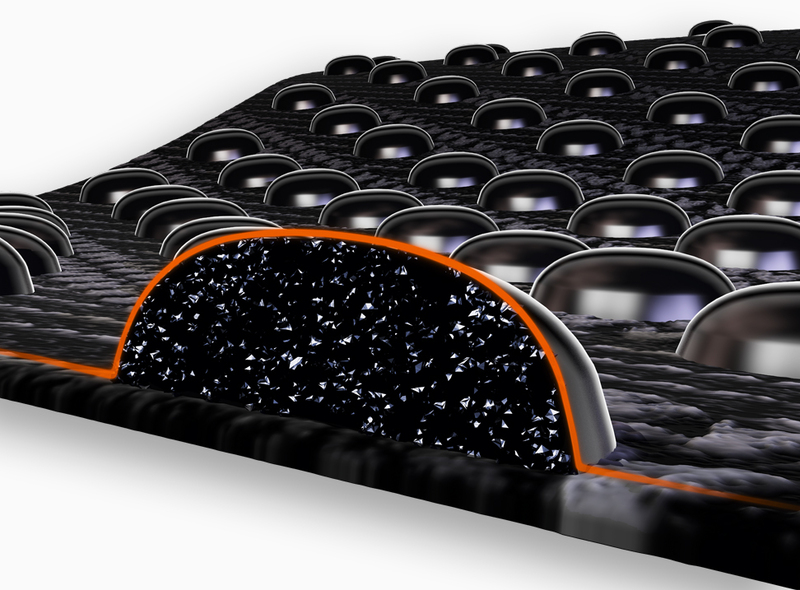 The unique Black Diamond material is selectively positioned only on exposed and vulnerable zones. Quartz is one of the most important raw materials in the production of ceramic or extremely heat-resistant glass. Due to its easy handling and hardness, ceramic often serves as traditional protective apparel. Due to their hardness, sapphires serve not only as a jewel but also as windows in spacecrafts. Black Diamond contains boron carbide and titanium, among other materials. These are materials that have extremely high levels of hardness, yet are lightweight and extremely heat-resistant. 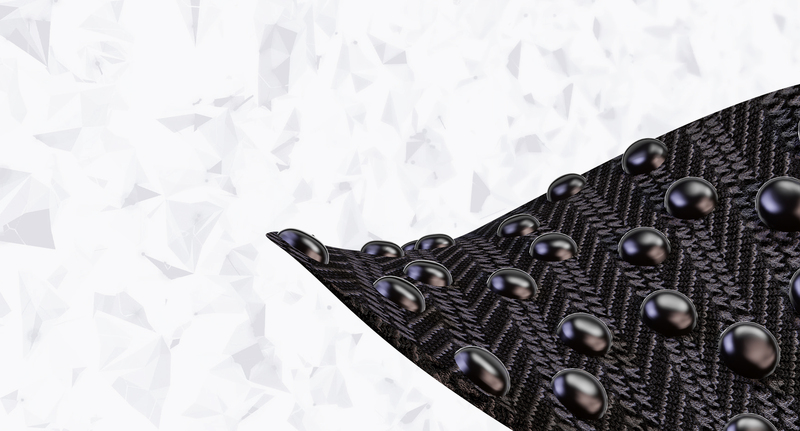 An intelligent combination with additional raw materials allows optimal application of Black Diamond on textiles without the base material losing durability. Diamonds are the hardest known natural material. They are created in the earth's mantle under high pressure and temperatures.